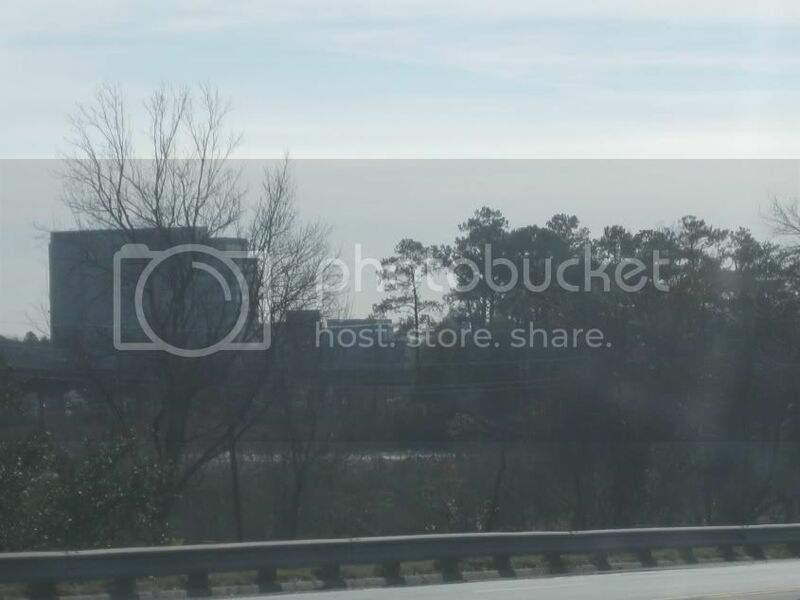 South on US 421 just outside Wilmington, NC. The skyline of Wilmington is peeping up in the background. A view of Wilmington from US 421. We're looking across what is probably the Northeast Cape Fear River. This has to be US 421 crossing the Cape Fear River. Another view of Wilmington, which has over 100,000 peeps now. One of Wilmington's claims to fame is that the FCC chose it as the test city for the forced switchover to the now-embattled digital TV format. This might be the tallest building in Wilmington. Yet another view of Wilmington. The odd structure you see here might be the Cape Fear Memorial Bridge - a vertical lift bridge that opened in 1969. If so, the span is conveniently raised for this picture. We have an interchange here with US 74/76. It would appear to also be US 17, but the BGS's label it as Biz US 17. Biz US 17 in Myrtle Beach, SC. A view of Homer Simpson's "land the law forgot." In fact, Myrtle Beach does host casino boats that go just into international waters, thus allowing gambling. Continuing on Biz US 17 in Myrtle Beach. This looks like Myrtle Beach's actual downtown. US 17 crosses the Waccamaw River into Georgetown, SC. Entering Georgetown just before crossing the Great Pee Dee River. Georgetown is the birthplace of Chris Rock, and the mayor once refused to award the comedian with the key to the city because he considered his comedy too vulgar. Crossing the Great Pee Dee, it looks like this is the old US 17 bridge made into a fishing pier. US 17 leaves Georgetown as we cross the Sampit River. Mount Pleasant is a huge suburb of Charleston. This town is the site of a historic beach that was taken over by Charleston County and sold to a developer that turned it into a gated subdivision for the extremely rich. Traffic crawls in this town. 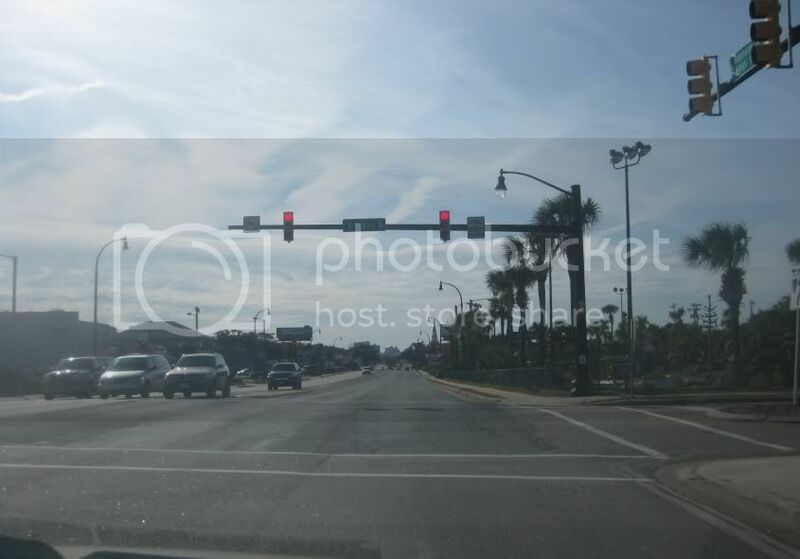 This is a photo of the congestion on US 17. The structure in the background in the center of the photo is the Arthur Ravenel Jr. Bridge. And you're gonna peep it all! US 17 continues in Mount Pleasant with the Ravenel Bridge in the background. This is a divided surface road with frontage roads. It's doubtful that the frontage road on the right is the old US 17, as this entire setup seems to be sort of a bypass around central Mount Pleasant. This was also once US 701. Getting onto the Ravenel Bridge. A sign prohibits pedestrians and bicycles - but there is reportedly a path on the other side of the bridge that was added following a campaign by local residents. Because the bridge opened in 2005, there would have been absolutely no excuse for a lack of bike and foot access. The absence of the path would have left unmotorized traffic with no means whatsoever of traveling between Mount Pleasant and Charleston. The Ravenel Bridge is 8 lanes wide and 2.5 miles long, and the top of its framework is a staggering 575 feet above the river. The span replaced a pair of bridges dating from 1929 and 1966. Construction lasted from 2001 to 2005 and was notable because it began before the design phase was even complete. Looking north from the Ravenel Bridge. I'm guessing the bridge way off in the distance is the I-526 span over the Wando River. Its namesake may have been a right-winger, but at least the bridge gives us amazing photography like this.